Forum Global specialises in policy focused conferences and events, providing a platform for discussion and debate on topical issues across a variety of different sectors. These events are organized with clients and partners and aim to progress ideas and actions on important issues, all within a balanced and neutral setting. The National Spectrum Agency provides technical support for the management and planning, monitoring and control of the radio spectrum, in coordination with the different authorities that have functions or activities related to it. ANE studies and proposes, in accordance with the tendencies of the sector and the technological evolutions, optimal schemes of monitoring and control of the radioelectric spectrum. 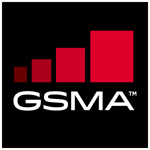 Qualcomm is the driving force behind the growth and progress of the global wireless industry. It is the world’s leader in patents and other intellectual property that provide the technological basis for the global wireless communications industry. That goes for existing 3G (third-generation) technology that makes wireless Internet data as well as voice transmissions practical around the world. It also applies to next-generation, 4G technology, which delivers an even more enhanced and seamless user experience. In addition to licensing its intellectual property to more than 170 companies worldwide, Qualcomm also manufactures highly sophisticated chips that are the engines of some of the most advanced wireless handsets and devices on the market. The company is the driver behind the very latest next-generation devices, which combine mobile communications, computing, and consumer electronics, that are now coming to market. Coleago Consulting is a specialist telecoms strategy consulting firm advising operators and regulators around the globe. Coleago is recognised within the industry as one of the leading specialists in spectrum strategy, valuation and auction support. Coleago’s team of spectrum specialists has delivered more than 40 spectrum valuation and auction bid strategy projects around the world. Our regulatory and spectrum related projects include spectrum and technology strategy, advice on Administered Incentive Pricing options as well as reports for regulators and NGOs such as “Best Practice in Spectrum Renewal and Pricing” for the World Ban. O3b Networks is a global managed data communications service provider operating both space based and terrestrial networks. O3b offers modern carrier-grade IP communications services and applications to ISPs, telco, governments and enterprises in the most remote and inaccessible parts of the planet. O3b Networks is wholly owned by SES SA (Euronext Paris and Luxembourg Stock Exchange: SESG). LS telcom is a leading supplier of advanced system solutions and expertise for radio spectrum management and monitoring as well as high-end wireless network planning and engineering. The company’s product & services portfolio covers spectrum management and monitoring software as well as hardware solutions, system integration, strategic consulting services, engineering and training. CANTO was founded in 1985 as a nonprofit association of telephone operating companies in the Caribbean. This initiative marked the first time that Caribbean operating companies had come together to address independently a wide array of telecommunication issues of mutual concern. CANTO’s objective is to establish a forum through which Caribbean Telecommunication Organizations may exchange information and expertise pertaining to the telecommunications field, generate inputs for orderly growth of the sectors, formulate policy and consider matters of mutual interest to its members. Aetha Consulting provides strategic advice to the telecommunications industry and specialises in undertaking rigorous quantitative assessments to support major strategic and regulatory decisions. Our senior staff collectively have over 100 person-years of experience of advising telecoms operators, regulators, and financial & legal institutions. Throughout the recent growth of wireless services, Aetha’s staff have been at the forefront of spectrum policy. In particular, three of Aetha’s founders (Amit Nagpal, Lee Sanders and Marc Eschenburg) have undertaken over 50 spectrum management policy and auction support projects for clients across the world during the last 5 years, including assisting regulators with the award of new spectrum bands and development of regulatory frameworks – for example supporting the European Commission to resolve high-profile issues such as spectrum trading and the digital dividend. Aetha also support operators in understanding their spectrum needs, valuing spectrum and bidding in auctions. Our staff have supported bidders in over 15 spectrum awards worldwide in the last five years and, at the time of writing, are currently supporting operators in seven countries for forthcoming auctions. Our technical knowledge combined with our rigorous valuation modelling approach ensures that our clients are comprehensively prepared for auctions. 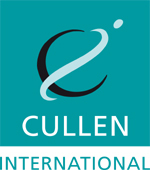 Cullen International is an independent service provider of regulatory and competition law intelligence in the telecoms, media, digital economy and postal sectors - covering developments across Europe, Americas, the Middle East and North Africa. For over thirty years, the company’s comprehensive, neutral and timely information has been trusted by industry and official institutions alike. Cullen International’s regulatory intelligence services are complemented by topical regulatory conferences and training seminars. Mediatelecom is the specialized website with more visitors and better coverage, Internet traffic and position in Latin America. Provides comprehensive multimedia communication of telecommunications market policies, Internet and ICTs. Mediatelecom es el website especializado con más visitas y mejor cobertura, tráfico y posición en Internet de América Latina. Ofrece servicios integrales de comunicación multimedia en políticas de mercado de telecomunicaciones, Internet y TICs.